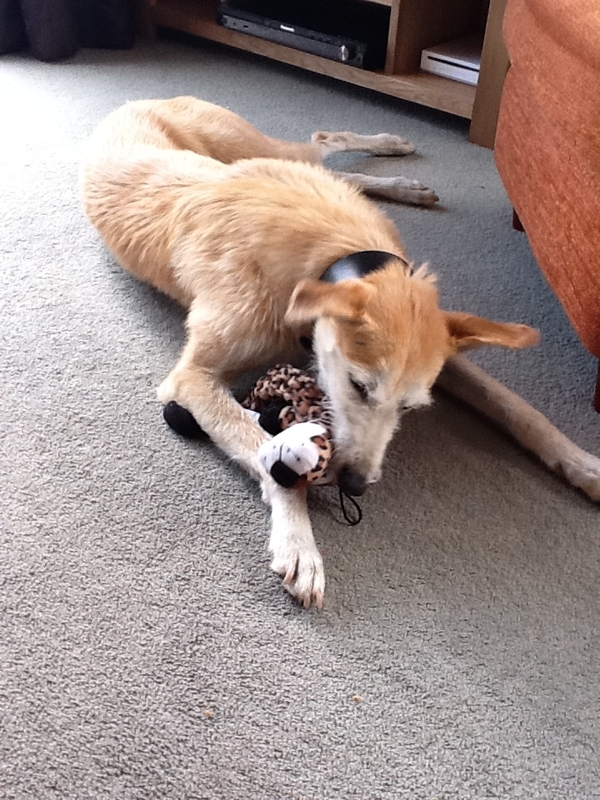 Bonnie is a lovely blonde rough coated lurcher, here's what her new Mum says about her: She is progressing well, her walking around the furniture etc is still a little clumsy and she bumps into doors, chairs etc. We think she just does not look where she is going a lot of the time, as when she is out in the garden or over fields, she runs very fast and in a straight line! I think it as you said she is not used to living indoors with obstacles. I will keep you up to date with her progress.